Just from patterns of motion, your smart devices know when you’re walking, when you’re riding a bike and when you lift your wrist to check the time. But it turns out they can also tell when you snap or make a fist, or whether you’re holding a smartphone or steering wheel. All they have to do is listen a little harder — well, about 100 times harder, actually. 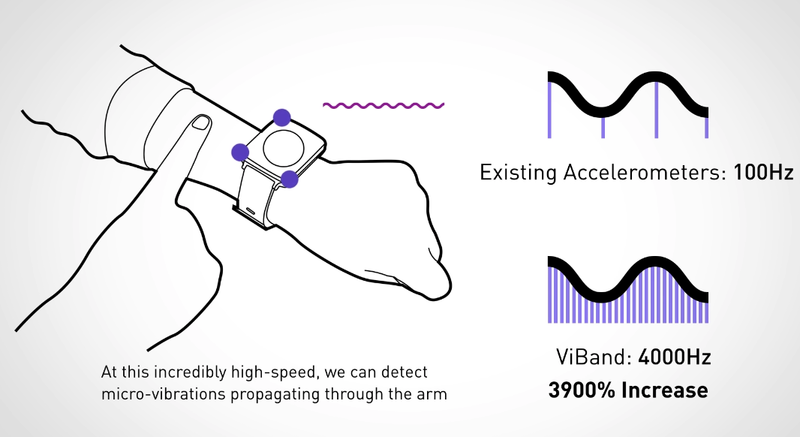 Researchers from Carnegie Mellon University created a system called ViBand that supercharges an ordinary smartwatch’s accelerometer, allowing it to sense incredibly tiny variations in vibration frequency. That could be the thrum of an engine, the note being tuned on a guitar or the slight differences apparent when you move your hand in different ways. The secret lies in the specs of the accelerometer itself. Normally, they sample motion somewhere around 20-100 times per second — more than enough to tell whether the user is walking or running, for instance. But CMU’s Chris Harrison and his colleagues noticed something. Sure enough, there was. 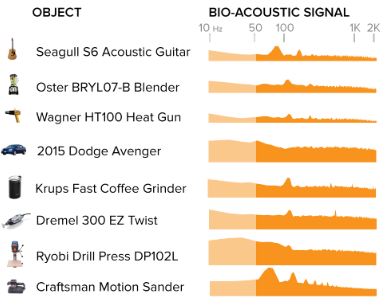 Even when propagated through “a water-filled sack of bones,” as Harrison described the body, just about everything produces a unique high-frequency vibration pattern, a sort of acoustic signature that can be used to identify it almost immediately. Think of a timer that turns on as soon as you grab your toothbrush, maps that appear when you touch the map at the entrance of a building or a two-factor system that checks not just whether you have a device, but whether you’re sitting at your desk. It can be combined with active electrical and wireless signals sent out by the watch to strengthen the recognition process. 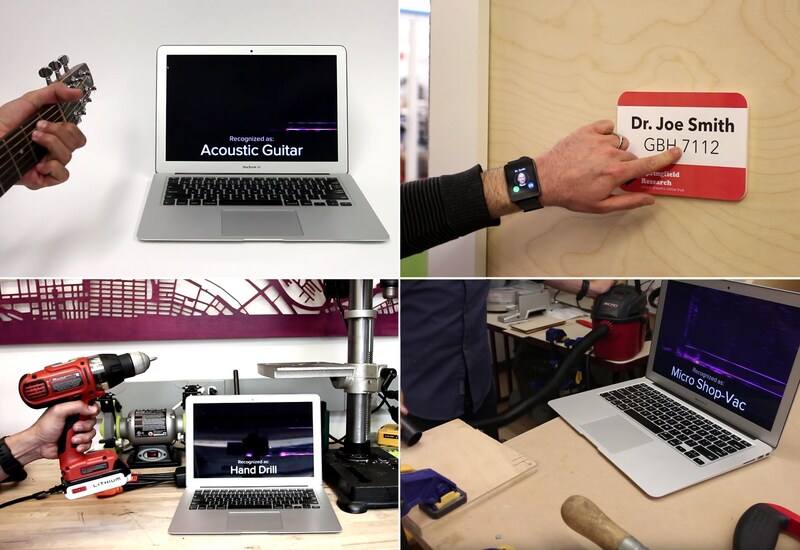 Examples of signals produced by various objects when pinged by the smartwatch. This isn’t the first foray into augmenting the capabilities of smartwatches made by Harrison’s lab. Other work has shown the possibility of wirelessly detecting the position of a finger nearby the watch, or on the skin of the arm and hand the watch is attached to. The team’s work was selected to receive one of four “best paper” awards at the Association for Computing Machinery’s User Interface Software and Technology Symposium in Tokyo.